available upon request with a surcharge. Seat height: 47,5 cm. Dimensions: 152 x 43 x 47,5 cm. Sean is a collection of sofas and a bench that combines generous, geometric volumes with slender, cast metal legs. With its compact size and comfortable cushions, Sean fits effortlessly in the home or common area. 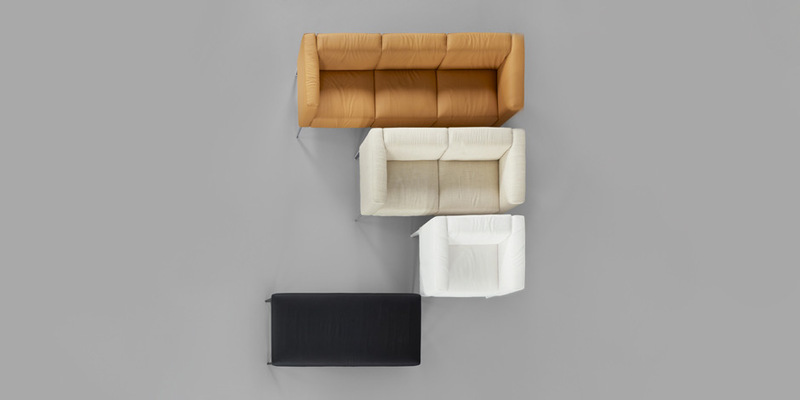 Available in one-, two- and three-seat sofa and bench. 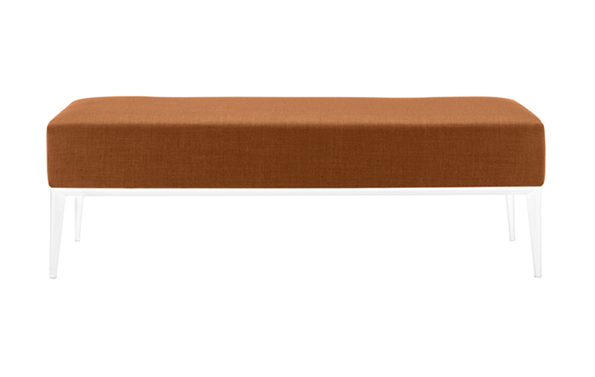 Multi-density polyurethane cushions covered in fabric or leather mounted on lacquered cast aluminum base.